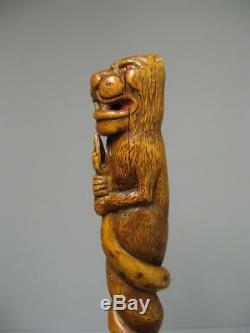 Old wooden cane carved folk art. Condition, with traces of use and cracks, see photos. 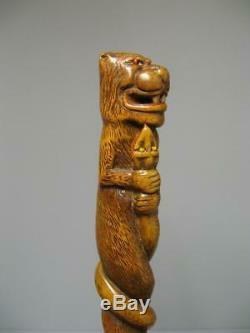 Old wooden cane carved folk art. Condition, with traces of use and cracks, see photos. See the satisfaction of our customers on thousands of positive sales. Any payment over 350 e will be made by bank transfer, without prior request. We refund with no questions and with our apologies, all people disappointed by our shipment, upon receipt of the return package. No risk for our customers! See the satisfaction of our customers at thousands of positive sales. No risks for our customers! 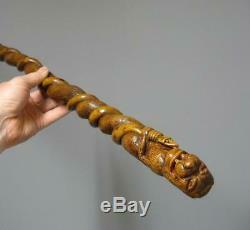 The item "old carved wooden cane, the isle adam, cane boxwood" is on sale since Sunday, December 16, 2018. It is in the category "art, antiques \ objects of the nineteenth and before". 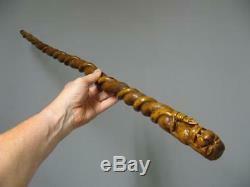 The seller is "patricketmarie" and is located at / in bézu le guéry. This item can be shipped to the following countries: united states, european union, canada, switzerland.